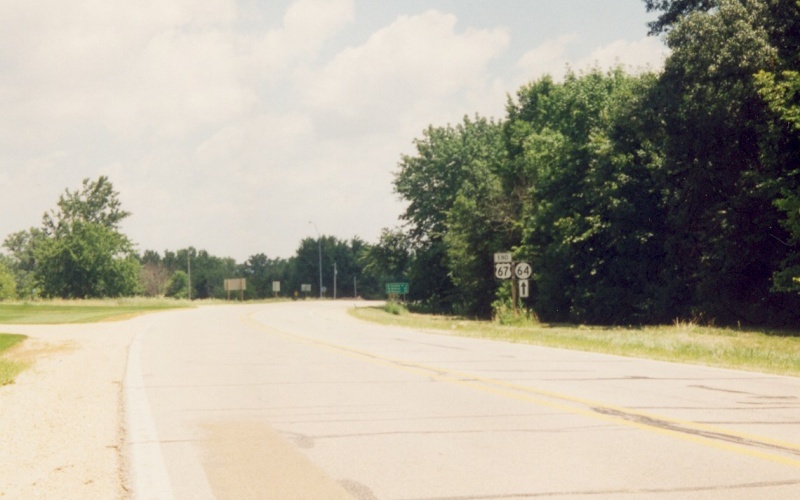 US 67, after a short duplex with IA 64, ends at US 52 approaching Sabula and the Mississippi River. Photo by Adam Froehlig. 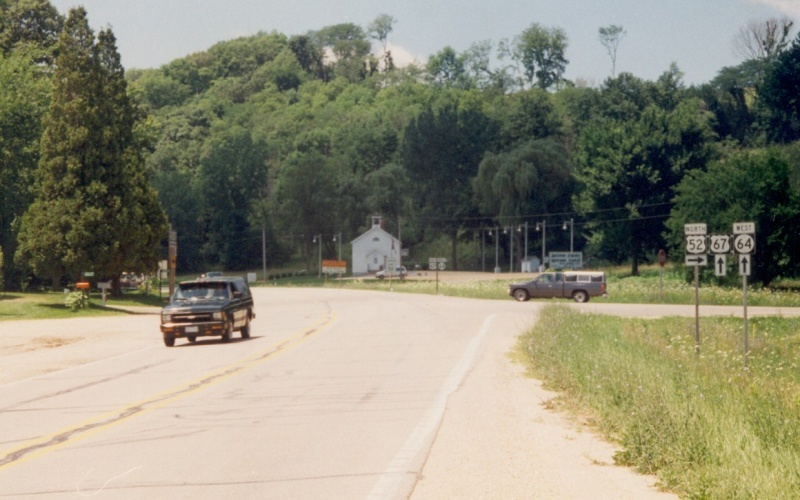 This is the view from NB US 52/WB IA 64, where US 52 turns to the right and US 67 begins straight ahead with IA 64. Photo by Adam Froehlig.